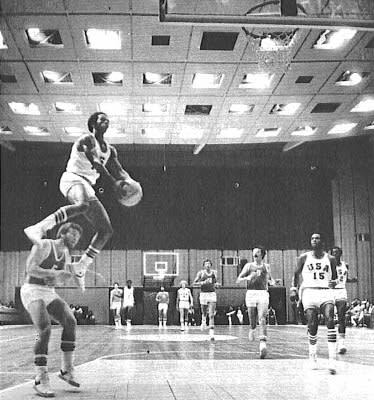 By the time Dr. Dunkenstein entered the league, legends like Dr. J and David Thompson had already taken the art of dunking to a new level and the 1981 Rookie of the Year added to the phenomenon with his unreal ability to levitate. Injuries including a stress fracture in his foot cut his career short but the Utah Jazz paid homage by retiring his jersey in 1993. He's definitely our favorite Jazz player of all time. FOH, Malone.